I am still in shock. My body is shaking, unsure whether I should laugh or cry, dance or scream. Maybe there is a way to do it all at the same time. Honestly, I never thought this day would come. I remember how I felt the day my state banned my rights by constitutional amendment. It hurt, but I knew that my state and country default to hate and denial of dignity. We have never been good at respecting basic human rights. I want to feel like this is a victory, because it is, but I still don't feel like I am awake. Reality has merged with my dreams in a way that I can't believe happened. This feeling, smiling while on the verge of tears, is one of the most amazing feeling I have ever experienced. Today, I am finally a full citizen in my country. The tide of progress marches forward, and our understanding of liberty and oppression grow over time. As science continues to offer us a better understanding of the world as it is, we see the foolishness of past generations in the clear light of wisdom. All humans are equal. All humans. It is hard to express my joy. I am sure this post makes me sound like a rambling idiot, but I had to say something, and I had to say it now. I am an equal citizen in my country. After 37 years of second class citizenship, I am now equal. We are now equal. 2014 was a crazy year, and I mean that literally. I spent most of the last quarter in deep depression, and I am glad to say that I am doing a lot better now. I started out the year working on a Zine, technically a micropub magazine (dashPunk). I wish things would have gone that way. I was really excited about the project, even though I knew it would have been a lot of work. On January 29, I brought Project: Shadow back and started working on changing the nature of my work. I wish I would have stuck with it, but more about that in a minute. I didn't go ahead with the Zine because I felt like it wasn't a good fit for what I was trying to do. It cost so much to do something that should be a lot easier, and I wasn't willing to charge people enough money to make it profitable. I didn't want to loose money on the project, so I abandoned it. I should have seen what was coming before I did. On July 14, I noted in my journal that certain things were starting to freak me out. On September 22, the depression hit. It held on like nothing I have ever experienced before. It smothered me in its embrace until December 16. I learned a lot while living under those shadows, important things. I learned who my real friends are, and just how many people included me in their life as someone who could be useful to them. My friends weathered the storm with me. I am grateful to them. As you know, I like to give names to important parts of my life. I think I will remember this period as The Pruning. I learned what was really important to me, and I cut away everything else. I want to start looking back by looking at the numbers starting with those from ThinkUp. In 2014, @cedorsett posted a total of 829 tweets. At 15 seconds per tweet, that amounts to 3 hours and 27 minutes. @cedorsett's followers probably appreciated it (ThinkUp). This year, I posted a grand total of 963 times on Facebook. If each status update and comment took about 15 seconds, that's over 4 hours dedicated to keeping in touch with friends (ThinkUp). I feel like I haven't been social and open enough about what is going on and what I have been up to. While it sounds like I spent a lot of time posting, that came in fits and spurts. My longest tweeting streak lasted for 26 days, from August 4th to August 29th (ThinkUp). I posted at least one status update or comment to Facebook for 57 days in a row, from January 1st to February 26th (ThinkUp). As you can see from the graph, I started out the year strong, and had a increase around Shore Leave, but the general trend line was down. Part of that was my disillusionment with social media, and part of that was the depression that crept up on me throughout the year. I need to be more open, and I am looking for ways to share more and to be more helpful to you all. If you have any ideas, I would love to hear them. I entered a grand total of 10,071 words into the Twitter data entry box, reaching peak wordage in January, with 2,650 words. If @cedorsett were writing a book, that would be about 37 pages (ThinkUp). I tapped 17,031 words into Facebook's status update or comment box, topping out with 5,520 words in January. If Eric Dorsett were writing a book, that would be about 62 pages (ThinkUp). The most interesting thing to me is that I talked more about writing on twitter and my books and books in general on Facebook. I also talked more about movies on Twitter. I need to go back to what I had originally intended to do. I need to "think out loud" on the blogs and through my social posts. On that front, I set up a Known site and I plan on making that my social hub, but I will repost from their to my other accounts. I don't enjoy Facebook, and I really never have. After 8 years on Twitter, I don't feel like I am getting out of it what I used to. I am not leaving those services, but I feel like I need to build out a site has the social qualities I want it to have. That is what I hope the Known site will become. For now, I am the only one that can post there, anyone can comment and like. Early on, I will invite others to post individually. Hopefully, once it is up and running, I will open up the registration to everyone. The reason is, when I first set up the site it was open, and it was flooded by spammers. I locked it down, and am now looking for ways to fix that problem. I want to get the podcast up and running again, but I need your help with that. I need to know what you want to talk about, and how it can be of service to you. This year will hopefully be a turning point in my life and my work. I hope it is for you too. I can't wait to see what we can do together. A friend of my shared a story today about a Transgender Kid who left a suicide note on Tumblr asking for the world to change (read it here). What we need more than anything is a cultural revolution that reconnects us to compassion and hope and breaks the chains cynicism, nihilism, and isolationism have wrapped around our necks. Only when we learn to stand up will things change. One moment, I need a musical break, sing a long if you know it, if not, it has the words. Every time I quote that, my friends sigh, and tell me that I just don't get it. We talk for a couple hours until we finally get back around the point. We cannot change other people, we can only change ourselves. This is one of the most troubling aspects of modern social movements, our solution is always to pass a law, change a law, or enforce a law. If history has taught us anything, we have to see that law is only a minor part of the change we need. Yes, anti-discrimination laws are important, and so are hate crime laws. They won't accomplish anything if we don't take wise action to change ourselves in such a way that it encourages others to take on the same change. When we act according to these simple rules of compassion that every culture on earth has come to over time, we start building the world that we want to see. We only have control over our actions. We have to take responsibility for our own actions. How can we expect others to treat us with respect if we will not grant them the same courtesy? How can we expect society to celebrate difference if we demand conformity? The path forward it to demonstrate through our lives, our jobs, our entertainment, and our businesses that diversity and compassion make us stronger. If we do not demonstrate the basic interconnectedness of all people, places, and things, we have no hope that others will see it. In every encounter, be kind, be compassionate, and celebrate the differences between people. Only through living a life that makes others envious of our joy, hope, and prosperity will others start looking for ways they can have the same thing. Become a beacon for compassion. Live compassion in all your words, thoughts, and deeds, and you will be the change that we need. When others ask you why your life is so different, tell them, but make they want to ask. One by one, we will realize that we are all interconnected, and that our actions effect everyone and everything. Eventually, this will change the world. It might sound like a strange question, but it is something I think about a lot. Alright, I think about it too much. Since I am a writer it does matter, but there is a nagging doubt in the back of my mind that I might not be thinking it enough or in the right way. I look at tools like Wattpad and Penflip, and I start wondering how I should be telling stories. Part of me wants to start serializing my fiction, so I can get stories out quicker. I make analogies to TV. The Wattpad release is like the show airing on TV or streaming, and the book is like the boxset. The difference is that those studios make money off both the airing and the boxset. It is hard to think about money, but I have to make a living. So, I started a Patreon account. I haven't given up on the idea, but the fact that my readers and listeners didn't move to support the project worried me, but I think it will take time and the right project to make it work. The problem is, we are on the cusp of National Novel Writing Month, and I want to join in. I love the challenge and the community, but I find myself wondering if I am just falling back into my old habits and working on a traditional novel. I have an idea, and maybe it will work. I am going to keep working on the outline for NaNoWriMo, and I will be the first to say that it is neither new or original, but I think this year, I will take part in NaNo, but unlike previous years, I will post each chapter as they are finished on Wattpad. They will be raw and riddled with errors, but it would enable me to get some feedback quickly. It would help get me into the habit. I will post raw stories on Wattpad and run the beta group on Penflip. I am excited about it. In 1998, Brian and I went on pilgrimage. We had a glorious trip, that filled me with so much hope for the future. When we got back to Maryland, our house looked like it had been through a war. There were holes in the walls and trash covered everything. To make a long story short, my best friend and roommate stole my identity and my inheritance. The family values judge didn't punish him because it would be a shame for his daughter to be deprived of a father. We moved to Emmitsburg. Without a conviction, I was responsible for the debt he accrued in my name. My faith in law and order was shattered. Times got hard. On numerous occasions, I came home to find dead animals on our doorstep. I will never forget the tears I wept cleaning up their blood. I would often come home to find our landlord in the house eating food out of our refrigerator. I lost my sense of security. Every time I heard a noise in the night, I was sure someone had come to kill me. One day, the landlord kicked us out of the apartment for having a cat that he knew we had when we moved in. We were broke, and over burdened with debt that wasn't ours and need a place to stay or we would be homeless. We begged family for a place to stay, and reluctantly found a place with family that the we hoped would be place for us to get back on our feet. We were wrong. We were treated like failures, and they threw away half of my property. At that point, I had lost everything but Brian. I entered the one of the deepest depressions of my life. Everyday was a struggle to get up and allow myself to live. We knew we needed to start over. Brian got a transfer to California, and we packed what little we could into a car, a Ford Probe, and a car topper, and we headed west. We had so much hope. I loved California. We moved there in 1999. This was one of the happiest times of my life, and that happiness masked the damage I carried with me. It took me a long time start making friends. I thought it was because of my age, or because I was new to area. I know now that wasn't true. I held the people I met at arms length, and never really let any of them know me. This happy state could not last. Events happened so fast. Brian lost his job, the energy companies started gouging the state, and there was no work anywhere. Then, Brian was in a car accident. He was alright, but the car was totaled. We felt we had no other choice but to move back east. We rented the only moving van available and left the place that we loved. I never dealt with any of wounds I collected in Maryland, and I added a new one. I truly believed that everything I every loved would soon be taken away from me. So in early 2004, we left California. My emotional wounds had taken a toll on my body. When we stopped at my parents house, I was shocked how sick they were. We decided to stop here. I realize now that my desire to help them get back on their feet was a projection of my own need to get my own life back together. I was shocked to learn that I had let myself go to the point it was almost impossible for me to stand up. My back and my knees, which I damaged separately many years before, would not hold me up. I had to build myself back up. I had always told myself that the only thing that could ever make me move back to Poplar Bluff was to utterly fail at my life. No wonder I felt I had to stop here. I viewed myself as a failure, and in some ways I still do. What I realized today was that I told myself I was over all that, but there is a difference between getting over something and letting go of it. In everything I have done since the events of 1998, I never took time to deal with the wounds I collected. Instead, I focused on overcoming the events. believing I deserve good things. believing I have any talent. believing I am good for anything. After all, I trusted someone I shouldn't have. It was my friend that set us down this path. It was my lack of judgement that lead me to trust someone, who everyone told me I shouldn't. If I am such a back judge of character, how can I trust others? I have always hated myself, and so I convinced myself that I deserved all the bad things that ever happened to me. I caused them and brought them on myself. Since I believe myself to be such a horrible person, how could I possibly believe that I am capable of doing anything good or great? I thought I had worked through these things... and that is the problem, I worked through them, I didn't conquer them. A tailspin or a downward spiral? The difference between a tailspin and a downward spiral is control. In a tailspin, the engine has stalled and you are falling toward an inevitable crash. In a downward spiral, I am just going down, I can choose to go back up. When this all started, we were in a tailspin. Events were out of our control. The tailspin is over. It isn't easy to see that while in free fall, but we got the engine started again in California. We landed here in Missouri. I did not rise up because I thought I had. Standing up is not the same as rising up. Today, I forgive all those who hurt me over the years, especially myself. I let go of the past. These are not just words. I cannot hurt myself any more on account of things that happened so long ago. Join me. Let go. Rise up. Stand up for yourself. Be who you want to be, not who people think you are. This is hard work, but together, we can make it. If you are struggling to rise up, contact me on social. We can do anything we put our minds to. We have proven it over and over again. Thank you all for your support over the years. I could not have made it through without you. Now, let's rise up to the sun and prove our wings are not made of wax. I have been a member of Good Reads for a long time, and I just can't seem to wrap my head around it. I cannot get into the groups. I have tried, but the conversations are rarely interesting. If you know a good group, please invite me. I cannot get into the stream... The site feels disjointed. I rate and review books I read, but it doesn't seem to be more than that. I want Good Reads to be a place I can go to talk about books. Maybe I am using this site wrong. I have looked through many tutorials, but none of them have helped me. So, in hopes of making Good Reads work the way I want it to, I started a Project: Shadow Book Club. I hope you join. I will give this a year to take off, and I will post there even if I am just talking to myself. I am reading Kaiju Rising, and made that the first book of the month. It is a collection of short stories about giant monsters destroying cities, but it is so much more. I have really been enjoying the book, and I look forward to discussing it with you. I also set up a poll for to select the book of the month for October. You can vote on the four books I added or suggest one of your own. Lets get this book fandom doing what it should: discussion and sharing. Play like a kid, no seriously, do it! I spent the day playing with my characters like I did when I was a kid. I love this, and I recommend everyone find something they used to love to do as a kid and DO IT! Reconnecting with that childlike magic is worth the effort. For me, I used to carry around all these journals and just write in them. It was one of my favorite things to do. It got so bad that in high school, I carried a second book bag around with me that had all of my journals and stories in it. I forgot how freeing it is to just write and play with ideas without being critical of the words I was writing. I feel amazing. Join me. What did you used to love to do as a child, and what was it like to do it now as an adult? While reading, The Impact Equation, thought I would stop and answer one of the first questions. It is an important set of questions, and one that I have thought about for a long time, but there is something about their frame that makes me see my work differently. with your help, 2014 will be amazing! I really want to thank everyone for making 2013 such a great year. Thanks you your support, last year was our best year. Please keep spreading the word, so much more is comming this year. Help me, Obi-wan Kenobi, you are my only hope! This year, I am bringing back Project: Shadow and the Zines! 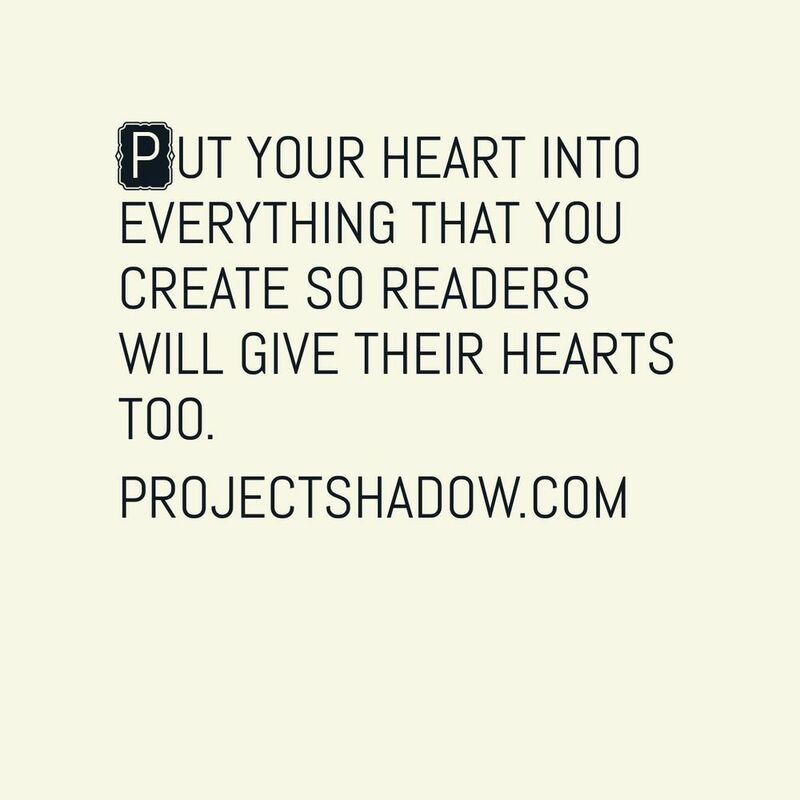 Project: Shadow is the site that started it all. A community site to share the things we love and working on. Well, I relaunched just before the new year, and I invite you to join me as I rediscover all the things that I love, and I cannot wait to see what all you have to share. The Zines will be a collection of serials that will come out every 2 weeks. Hopefully, they will launch soon, but they will not come out without your help. For those of you who want early access, join the beta reader's group and help me to get the stories ready for release. This will be a big year. I can't wait to see what new wonder 2014 holds for us. I am getting a little tired of people equating popularity with quality. Firefly was not popular, and if we compare it to Star Wars or Star Trek, that would make it a total failure, but is it? That is why a lot of fans are starting to complain about Doctor Who (I am not one of them). The show's popularity has come from a hollowing of the characters and shallower plots. That is how you appeal to a mass audience. It is not a guarantee of popularity, but it is nearly a requirement. The only way to appeal to a broad audience is to lower the work to lowest common denominator. There are exceptions to the rule. Frank Herbert's Dune is one of the best selling Science Fiction books of all time. That is the result of a rabid fan-base and curiosity spurred on by the Movie and Miniseries, both of which were over simplifications of the book. Why? To garner as wide an audience as possible. There is nothing like over engineered pop Shock Rock to make the point. As media is becoming more disintermediated, content creators like myself have to focus on character, setting, and story. While I would never say my stuff is perfect, I have followed my interests, and not what I thought would make me the most money. Postmodern life has lost its flavor. The homogenized, plastic fantastic modern world was sheathed with a pasteurized mock-rebellious and faux-individualistic veneer. Manufactured rage like the Duck Dynasty publicity stunt are the new normal. People can relax now, they did something. Placation is simple. One well placed manufactured crisis and both sides vent, and get to feel like they won. Theatrics. I took that tangent to point out that even our news is poorly manufactured. If there is any hope for our society regaining any credibility and flavor returning to life, we have to start caring about things again. Honesty and integrity. I may not be a great writer, but my fiction is honest. It is what I love. It comes from my heart. I am not alone. There are others. Emerian Rich and Matthew Wayne Selznick, just to name a couple. If fans are unimportant, because what will make them happy will not appeal to a mainstream audience, then the math is backwards. We cannot afford anymore to give up on the things we love. I love Star Trek, and that love is not being reciprocated, so I am creating my own scifi series to fill the niche. Passion drives us, not money, not popularity. We have to stand up for ourselves, only then, together, can we bring the passion back. Last year was rough for me. It's not like any thing in particular happened, well, now that I think about it, that is not exactly true. 2013 has been a year of anxiety and fear for me, and only now, as I sit here writing this post does it start to make sense. My first memory of the year is the morning someone kicked the door into our house. Nothing was stolen. No one was hurt. The dog barked, and scared them off. I am not sure my anxiety levels ever return to normal after that. So now on the cusp of 2014, I have decided to start new. I'm going to reboot my life and career, and that starts with the return of Project: Shadow. Some of my diehard readers will undoubtedly say, "Project: Shadow has never gone away." If you are one of them, I would like to say, thank you for reading my tumblr blog. While it is true I continued to post over there, we all have to admit it was a half assed blog. I want to get back to blogging like I used to. I miss the sharing and the community. I need to refocus my mind away from fear and back towards the things I love. After all, true love casts out fear. I invite you on this journey with me. I look forward to your questions and comments. Together, we are Project: Shadow.